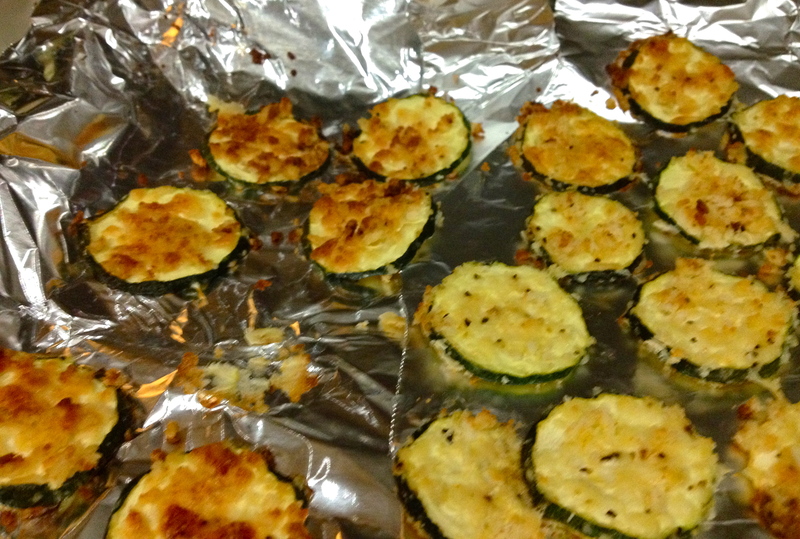 Baked Zucchini and Summer Squash Chips. I always seem to buy zucchini and summer squash as a pair. I’m not sure why they always go together in my mind, and I never eat one without the other. For whatever reason, these vegetables are a couple, and I intended my recipe to be no exception to that rule. 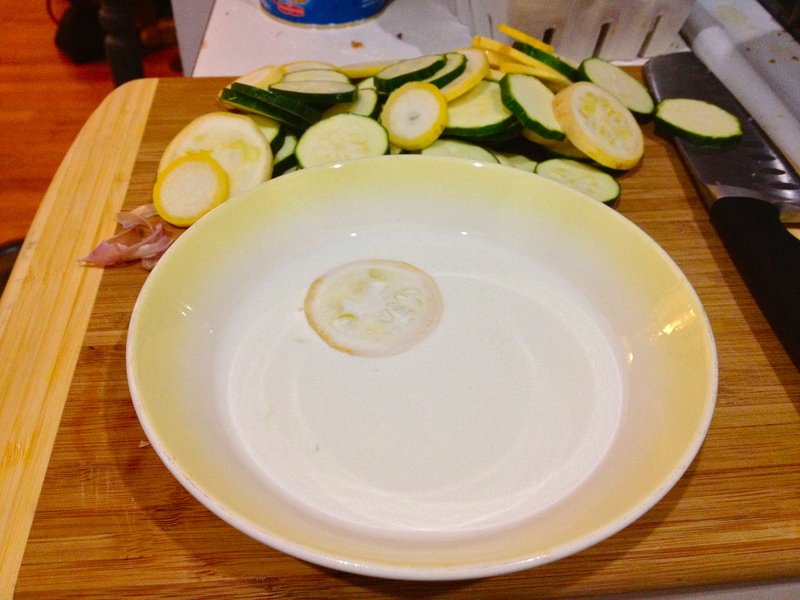 But while I was slicing up these green and yellow beauties, I wondered, why should they always go one with the other? 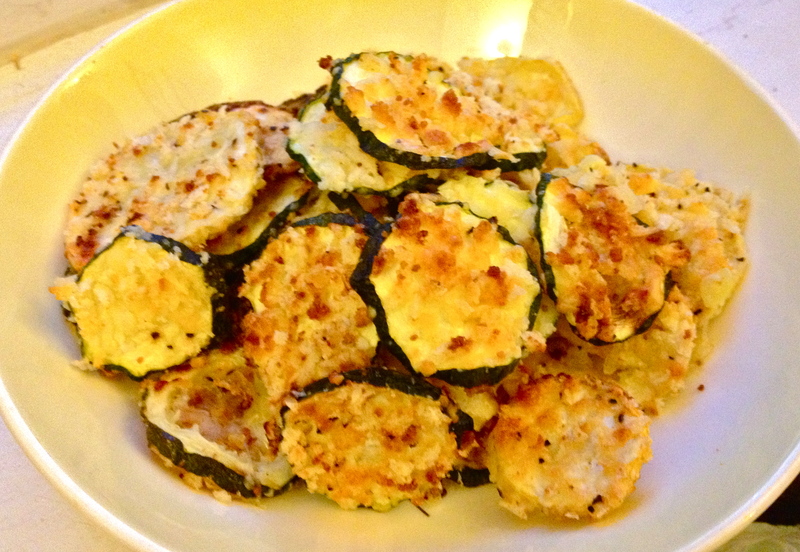 It’s just as tasty to pair two zucchini or two summer squash—I defy their ingredients to tell the difference. In fact, I firmly believe that a vegetable can and should be with any vegetable partner they choose, regardless of what the traditional pairing might be. So make these chips with whatever you’ve got in the fridge and celebrate the right of everyone–vegetable or even human–to be with whoever they work best with! Put half and half in a shallow dish. 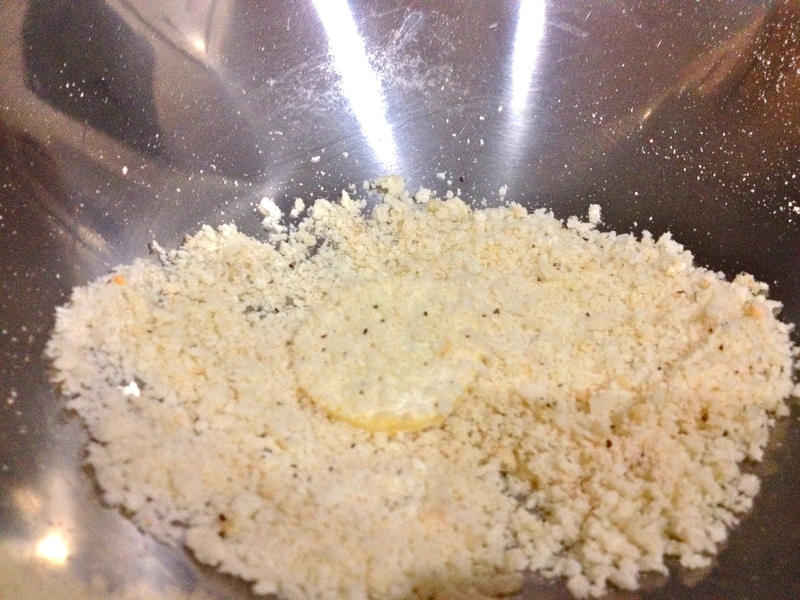 Put parmesan, garlic, bread crumbs, Lawry’s seasoned salt, and pepper in a bowl and whisk together. 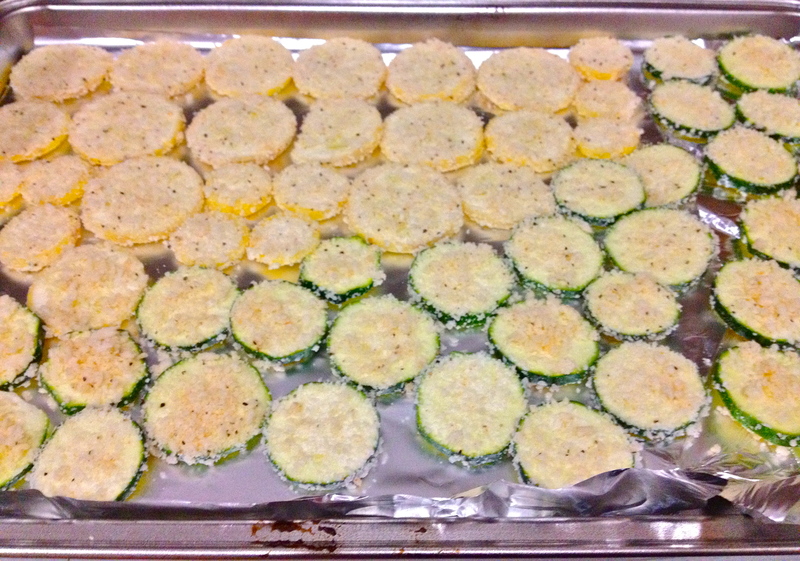 …and then into the bread crumbs, coating each side. Place slices in a single layer on a foil-lined baking sheet. Bake until golden brown and crispy. Serve immediately. Any ideas for a dip? They’re good on their own, but I’m sure there’s a great dip out there that I wasn’t able to think of. How pretty! I love fried zucchini, but these seem like much less of a pain to make. I bet they’d go great with a simple marinara sauce.